Some things never change. Tuesdays are still the worst, and apparently, Congress can't get anything done. Even though the yearly National Defense Authorization Act was cleared for passage Monday night, it did not include Sen. Kirsten Gillibrand's proposed amendment to take sexual assault cases out of the military's chain of command. The unprecedented proposal was controversial and costly, but it seems that House and Senate members ran into a bit of a time crunch. No additional amendments will be inserted before the end of the year. It seems Congress wasn't about to let some silly sexual assault amendment impede on its holiday time. That's just how Congress gets stuff done (and by stuff, I mean pretty much nothing ). The NDAA must be passed annually — no exceptions — and has been implemented for the past 50 years. The 2014 version is expected to be passed within the next two weeks. “The reality is that the House of Representatives is going to adjourn on Friday. There is no way to get a defense bill passed this year except the way we are proposing," Senate Armed Services Chairman Carl Levin said. However, NDAA does contain some additions that aim to help military sexual-assault victims. The bill makes it a crime to retaliate against victims, provides special counseling services, and prevents commanders from "substituting a lesser offense for a guilty finding." Contrary to popular assumption, this isn't just a women's issue: men outnumber women when it comes to reporting sexual assault in the military — 53 percent of sexual assault reports were filed by men, not women. Reports of abuse have skyrocketed recently, drawing both critics and commendations of how cases are handled. According to the Pentagon, the U.S. Department of Defense received more than 3,500 official military sexual assault reports from October 2012 to June 2013, an increase of nearly 50 percent. But these numbers pale in comparison to another Pentagon survey, which found that unwanted sexual incidents rose to 26,000 last year, from 19,000 in 2010. Gillibrand, a New York Democrat, secured the backing of both Democrats and Republicans for her measure, including Senate Majority Leader Harry Reid, as well as Sens. Cory Booker, Ted Cruz, and Rand Paul. 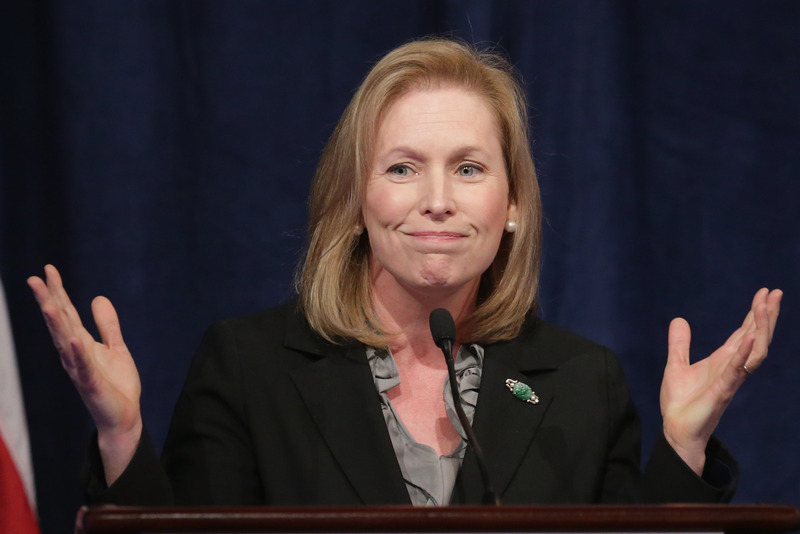 A spokeswoman says Gillibrand will "keep fighting to protect our brave men and women in uniform and to strengthen our military." Even though Congress seems to have steered away from any controversy, there's always a chance for the status quo to change next year. Then again, this is Congress we're talking about.